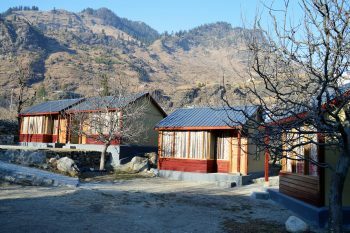 Apple Orchard Camp of Mountain Sojourns is situated on Burua road near Palchan village, 7km after Manali town toward Rohtang Pass. It is a beautiful campsite set amidst apple trees. It is a picturesque spot that offers the most magnificent view of Rohtang Range and the river Beas flows nearby. This is an excellent, calm & peaceful location, an ideal holiday destination for tourists. 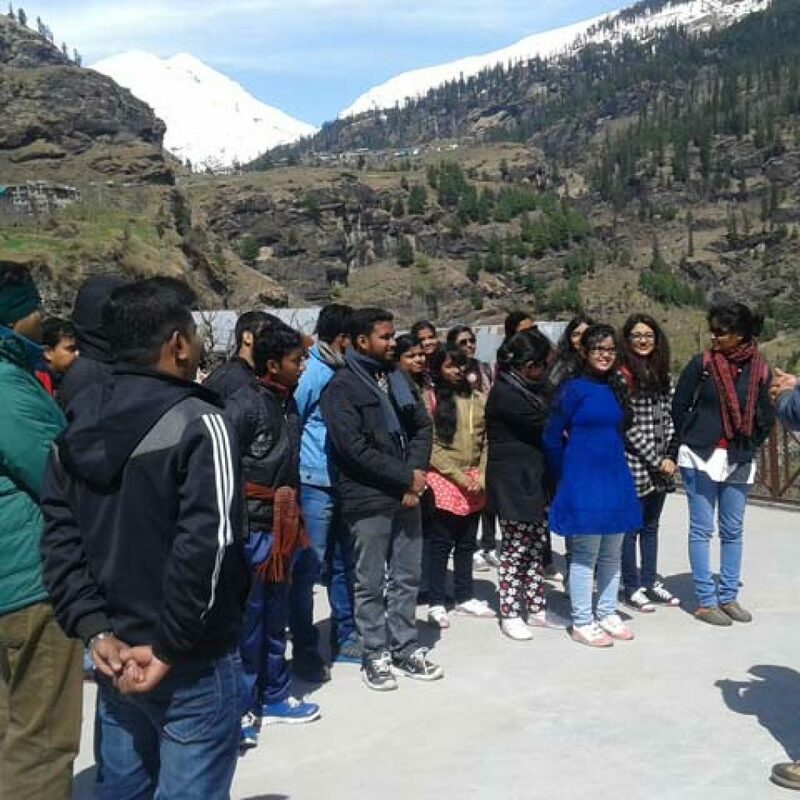 Most of the high altitude tourist destination of Manali—Rohtang Pass, Gulaba, Bhrigu Lake, Dashohar Lake, Beas Kund, Patalsu Peak— are in the mountains that surround the campsite. Some other tourist spot of Manali like Solang Valley, Anjani Mahadev, Kothi are in the radius of 3km from campsite The place is away from the main highway but connected by a small link road. Himalayan Mountain Sojourns use this campsite as a base camp and operates its all high altitude camping and trekking activities from here. To carry out adventure activities, there is a natural rock field at river side at short distance from campsite. The campsite has two types of accommodation – tents and small camping huts. You can book a tent, a camping hut, and if you are a family group of 8 to 10 persons you can book a cottage. So this becomes an ideal place for those who want to enjoy their holidays in the solitude of the Himalayas. 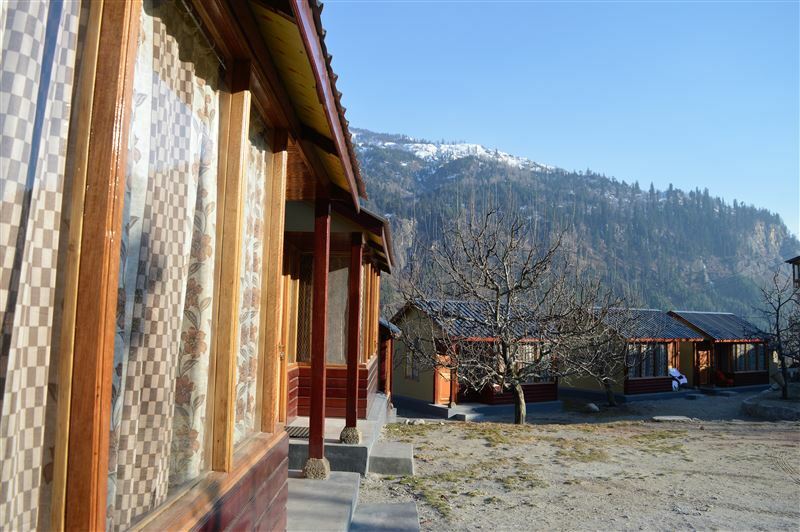 Newly married couples, families, senior citizens who are thinking of a Himalayan retreat can find their dream place at the Mountain Sojourns Camp. 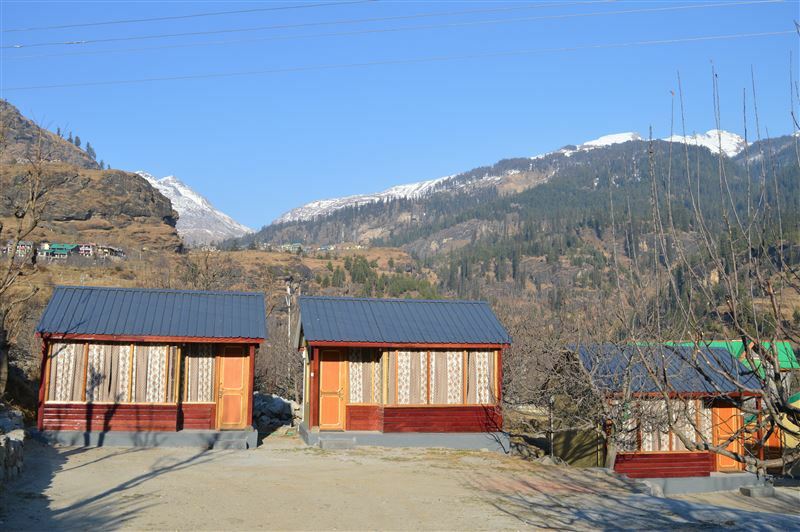 Affordable tariffs, neat and clean rooms/tents, homely atmosphere and cool and calm surroundings make this place the best to stay in Manali. Trek to Solang Valley and Anjani Mahadev. 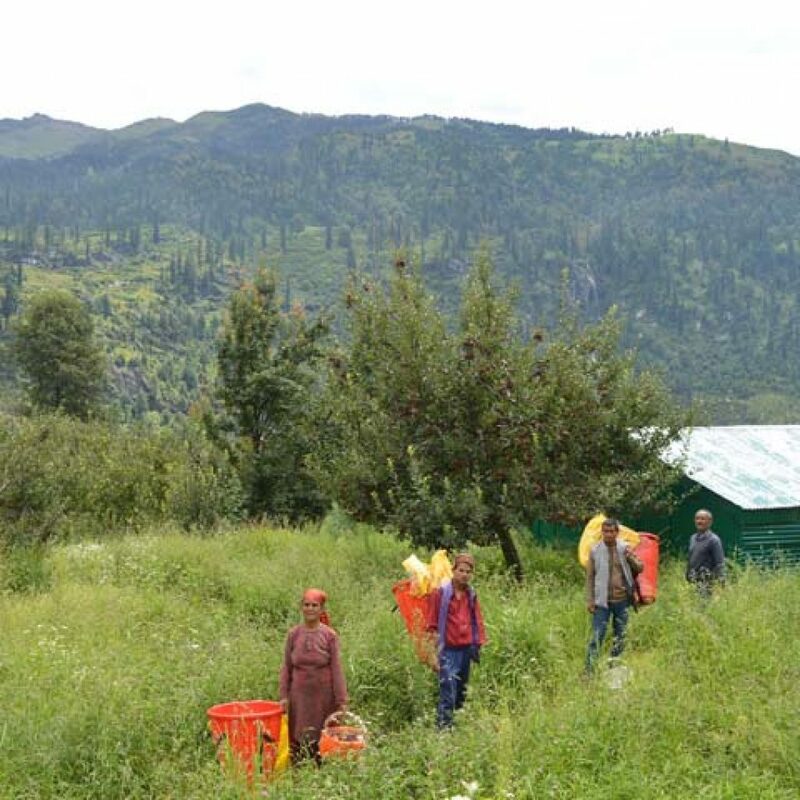 Arrival at the Apple Orchard Campsite of Himalayan Mountain Sojourns at Palchan in the forenoon. Immediately after your check-in you will be briefed about the Campsite and its surrounding area. In the afternoon after lunch you will be out for a short acclimatization trek around campsite. After breakfast you will start your trek to Anjani Mahadev. Anjani Mahadev is a religious place in the Solang Valley. 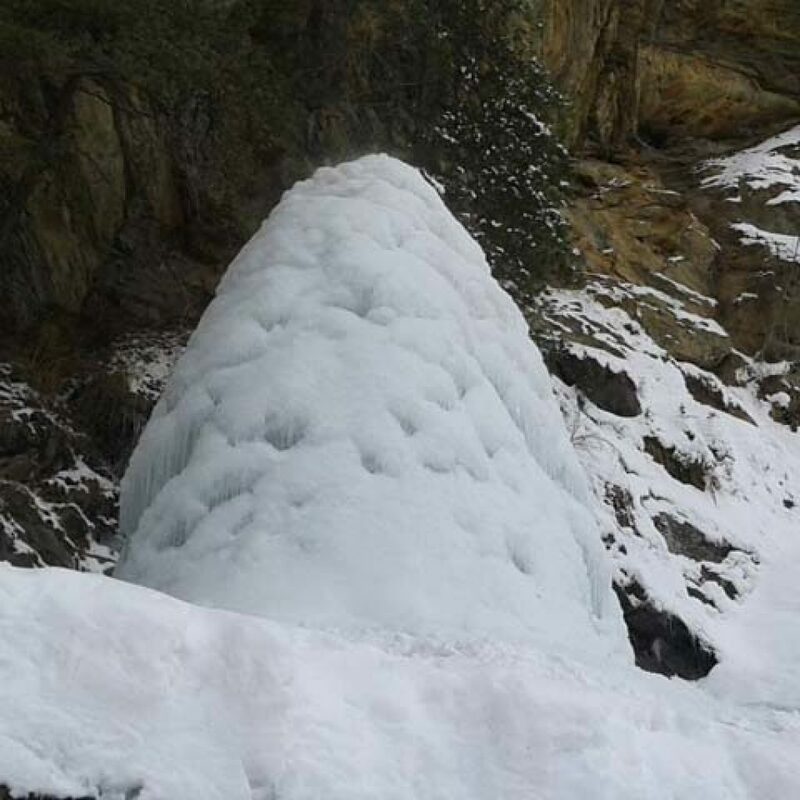 Like Amarnath in Kashmir, here also, a Him Shivlinga appears in an icy cave. While coming back you halt at Solang which is a hub of adventure and fun activities. By evening you will be back at Campsite. After breakfast you will start your trek to Jogini Falls. Jogini waterfalls are an enchanting attraction. This place is famed for its beautiful cascading waters and serene environs. It is bliss for nature lovers and photo fanatics. From Jogini Falls you will further trek to reach Vashishat. Vashisht Village is a prominent tourist attraction in Manali, popular for its temples and natural hot water springs. Today you will have an outdoor lunch. After lunch the group starts its local sightseeing trip to Hadimba Temple and the Mall Road Manali by taxi. Late in the evening you will be picked from Manali Mall Road by taxi for Campsite. Rock Climbing, Rappelling and River Crossing. After breakfast you will leave for the rock field at river side. 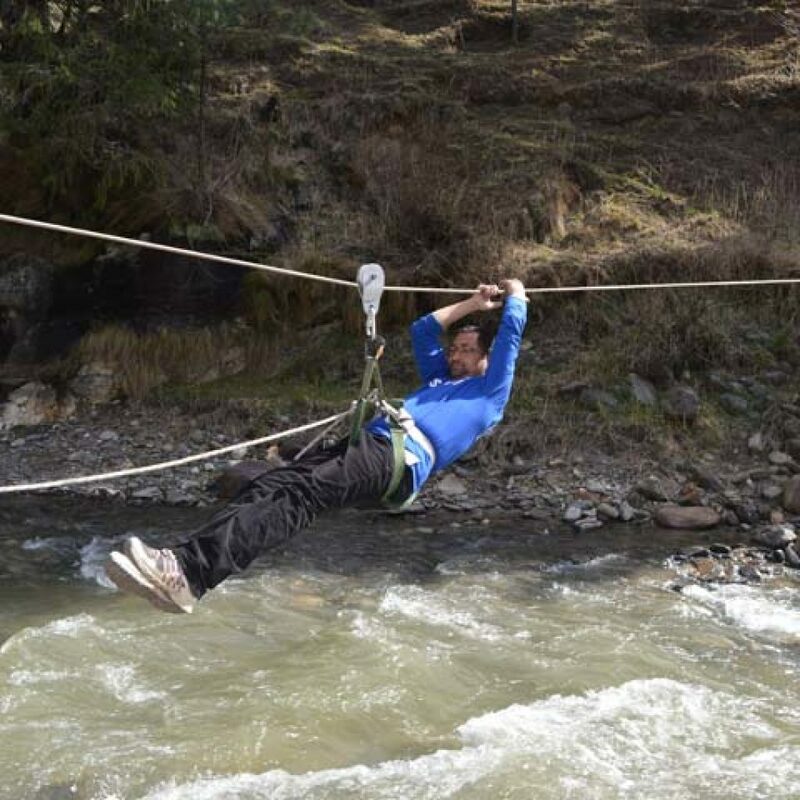 First, the Adventure Instructor will explain and demonstrate the techniques and then the participants will practice that in the presence of the instructor. Day 05:- River Rafting and Departure – After Breakfast check out from Campsite; a taxi will take you to river rafting point. After enjoying adventure of river rafting you will board bus for your next destination from river rafting point only. Rs 4200/- per person for a group of minimum 10 persons. 1. All meals (Vegetarian Food) except breakfast on arrival day and dinner on departure day. 2. Guide for 5 Days. 3. 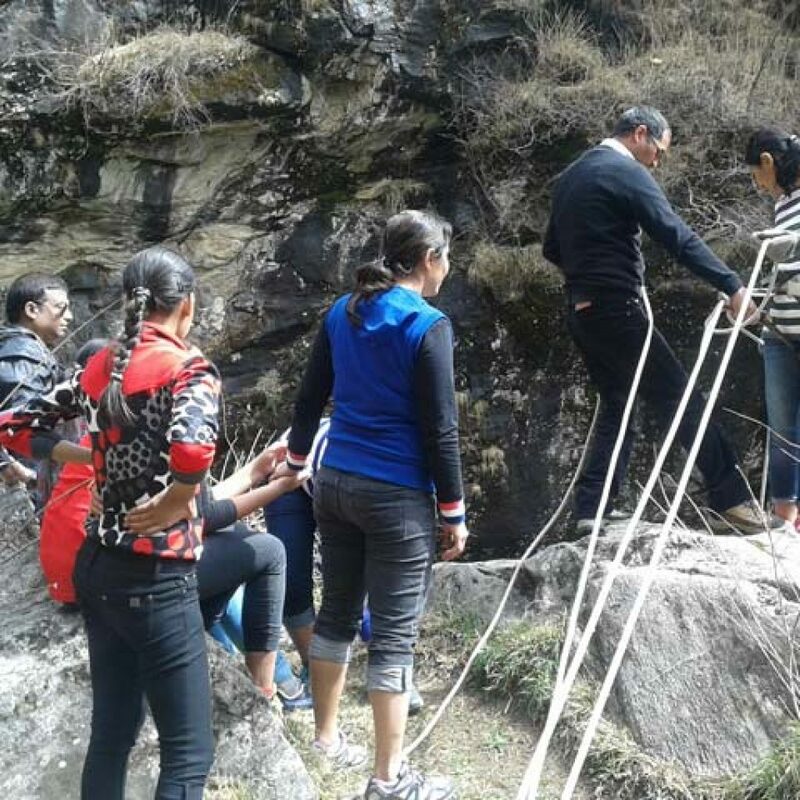 Adventure Activities- Rock Climbing, Rappelling and River Crossing. 5. Accommodation: Tented Accommodation (three to four share tents). 6. Pick up from Bus Station Manali to the Campsite on arrival day. 7. Full day back up transport on day 3. 8. Sleeping bags with trekking mattresses. 9. Campfire on day 4. 10. Transportation for Rafting Point on Day 5. 4. Any expense arising out of unforeseen circumstance like bus delays, roadblocks, landslides, etc. 5. Any personal expense and sightseeing which are not in the Itinerary.